Welcome to Nourishing Plate! I am Laura Rutledge, a RDN (Registered Dietitian Nutritionist) who loves to eat, think about food and talk about food! I graduated from Auburn University with a BS in the Coordinated Dietetics Program and completed my master’s degree in exercise physiology at the University of Alabama at Birmingham. I am credentialed as a Registered Dietitian Nutritionist through the Academy of Nutrition and Dietetics Commission on Dietetic Registration (CDR) and licensed as a dietitian in the state of Alabama. I am also a board certified specialist in oncology nutrition. I have worked in a variety of settings including patient care units, undergraduate and graduate education. I love to educate people (patients, public, healthcare providers and students) about the role of nutrition in health – how diet can help prevent disease as well as how to help manage diseases with nutrition. Over the years I have given numerous talks to professional and community groups on nutrition and cancer prevention, nutrition during cancer treatment and nutrition for cancer survivors. Nourishing Plate was created to provide evidence-based information on nutrition and cancer along with tips to combat symptoms associated with cancer treatment and provide tasty, easy recipes appropriate for everyone! I sincerely hope this resource is helpful to you whether you are battling cancer, caring for someone with cancer or simply striving to live a healthy life! Personal: I am married to Patrick who is so cute and fun to be around! 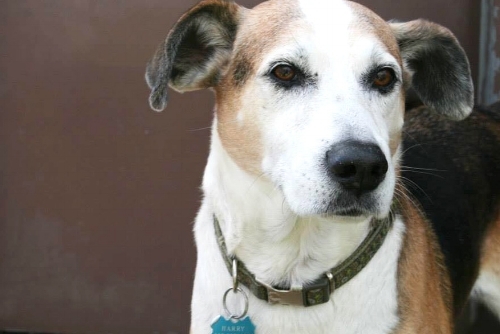 We don’t have any children but we do have a super sweet rescue dog – Harry! My hobbies: cooking (of course! ), reading, running, playing tennis and taking Harry on long walks. Favorite food: peanut butter (probably one of my husband’s least favorite foods!) I could (and frequently do) eat it straight from the jar. Least favorite food: olives (one of my husband’s favorite foods!) Being the sweet wife that I am (most of the time! ), I do buy him lots of olives although I can’t stand the smell of them! Our sweet rescue dog Harry! 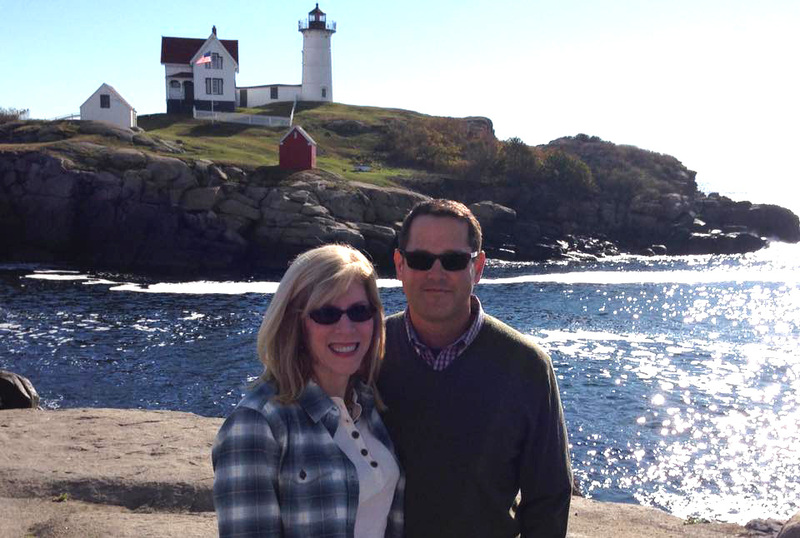 On vacation in Maine - beautiful scenery and wonderful people! Hiking in the Smoky Mountains on our honeymoon. We don't get much snow in Alabama!